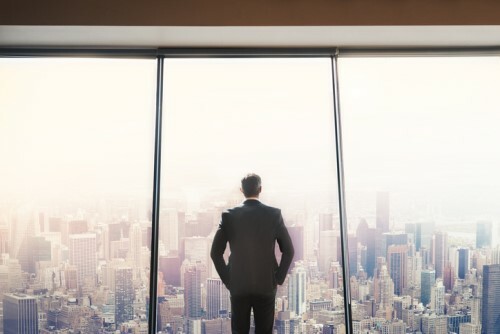 Maintaining professionalism is part of a broker’s basic responsibilities but that doesn’t mean they have to abandon their personality the moment they walk through the office door – in fact, one CEO suggests brokerages could even benefit if their staff are able to show a more human side. “Insurance is very old and traditional, and it can be seen as a little bit stuffed-shirt or rigid at times,” says Rod Fitzgerald, CEO of SRG Group. While it may still be dogged by an outdated perception, Fitzgerald says the industry is steadily changing as more organisations adopt modern and innovative brands – including SRG. Of course, building and maintaining the brand requires effort from everyone in the organisation – so Fitzgerald called on employees to help develop the company’s core values. According to Fitzgerald, many employees within SRG are committed to voluntary work or charity fundraising – among them, is Luke De Laurence, product manager at SRG subsidiary, Bikesure. In his mission to support emergency helicopter service LifeFlight, De Laurence decided to take part in a string of unusual challenges – these included racing his dog, shaving his head, arm-wrestling a female athlete and being pied in the face. While the tasks were broadly circulated on social media, and took a slight side-step from the traditional buttoned-up reputation of insurance, the entire SRG team offered its support. “They were the sort of things where some businesses might tap you on the shoulder and go; ‘Mate, would you mind acting a bit more corporate on social media, or at least change your name so people don’t join the dots?’ but instead, it was wholly embraced and encouraged,” says De Laurence. While De Laurence is thankful for the support, he also says SRG and Bikesure will reap the rewards for having such a supportive culture and encouraging its employees to be themselves. Unsurprisingly, Fitzgerald agrees and says there was never any question that De Laurence’s activities would call the credibility of SRG into question. De Laurence’s unusual approach saw him propose a string of challenges, which would only be completed once a certain fundraising goal had been achieved – the tactic saw several people donate on multiple occasions, desperate to see the next instalment. Incumbents suffering from "frozen middles"